Sequels are tricky. They involve a careful balance of using material developed in previous installments to explore new areas rather than doing the same thing over again. This delicate situation is difficult enough from a writing standpoint as it is, and is further exacerbated by the fact that the producers financing the picture probably just wants more of the same. It's no mystery that Hollywood has had a hard time with this in recent years, with films like 22 Jump Street and Muppets Most Wanted satirizing studios' lack of creative energy this year alone. But despite being a big budget summer sequel, How to Train Your Dragon 2 succeeds both in picking up where the previous story left off and in taking it to new and uncharted territory. After the original How to Train Your Dragon, the Viking village of Berk has made peace with the dragons and lived in harmony with them thanks to Hiccup (Jay Baruchel). But not everyone shares his sympathetic attitude. As the Vikings' world expands with the aid of the dragons' ability to fly, they begin to encounter forces under the control of the evil Drago (Djimon Hounsou) who seek to use dragons for violent and tyrannical purposes. While his family insists that there's nothing they can do but prepare for war, Hiccup believes otherwise. He knows that people can change, and he'll do whatever it takes to maintain peace. 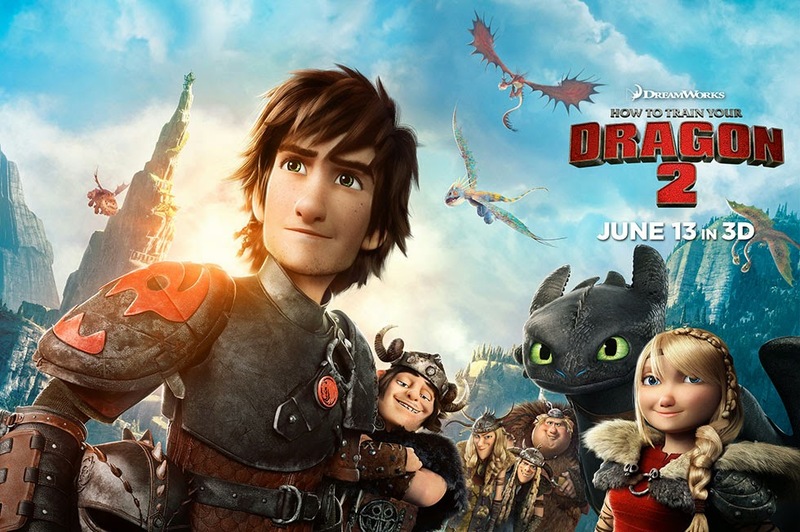 What's most notable about How to Train Your Dragon 2 is not only how well it picks up where the original left off, but how much consequence and gravitas it maintains in spite of clearly being aimed at a young audience. Not only do our protagonists face a murderous foe, but they also deal with serious thematic issues like social and familial responsibility. When the story opens, Berk is looking for a new chief, and Hiccup—who's next in line for the throne—doesn't feel up to the task. He would rather explore this new world and continue to develop his growing bond with the dragons. But when Drago enters the scene, Hiccup is forced to face the question of whether his independence means more to him than his people. I'm not going to lie, though: the biggest immediate appeal for me of both this film and its predecessor is how indescribably cute the dragons themselves are. The animators seem to have taken the most lovably adorable traits of animals ranging from cats to dogs to birds, and the result is enough to soften even the hardest of hearts. This movie would stop the Grinch from stealing Christmas. It's like watching cat videos on the internet, except that the cats have personalities and back stories and fire breath. They make me giggle like a little boy. In technical terms, the film is also quiet a marvel. The animation is just gorgeous. The creators consulted cinematographer extraordinaire Roger Deakins, and it really shows. Not only are all the characters and environments saturated with rich detail, the camera moves are elegant and purposeful despite the fact that there's obviously never any cameras involved. DreamWorks has been knocking on Pixar's door for a while now, and if they continue their current trajectory then I can see them taking the top spot in the American animation world. Transition time. I do have some problems with How to Train Your Dragon 2. My biggest issue was the film's occasional lack of tonal control. It feels like Dean DeBlois turned in a rough cut of the film and the studio complained that certain moments were too dark or complicated for the intended audience, so these moments were given a healthy dose of comic relief. The most distracting instances of this were when Stoick and Valka reunite and when Drago's army attacks Berk. Both scenes jump back and forth between a serious tone (romance and drama, respectively) and a comedic one, as if the movie is worried the younger, PG-rated members of the audience might be confused or bored. This is not only a problem in itself, it also detracts from the film's strongest suit: its depth. It's hard to take the movie seriously when it pulls back to crack a joke whenever the going gets tough. To be fair, the pivotal turning point of the film plays through without relying on comedy; but overall it feels far too self conscious about its attempts at emotional complexity, and after so much thematic backsliding its message seems to be "everybody can change unless they're the bad guy." There were also moments where the plot felt slightly undercooked, which is strange considering the story is based on a book. Occasionally character motivations would evaporate into contrivance, revealing the skeletal puppet master pulling the strings beneath the narrative. At one point, for example, Hiccup lands on Eret's ship and gives himself up with the purpose of being taken to Drago's headquarters. 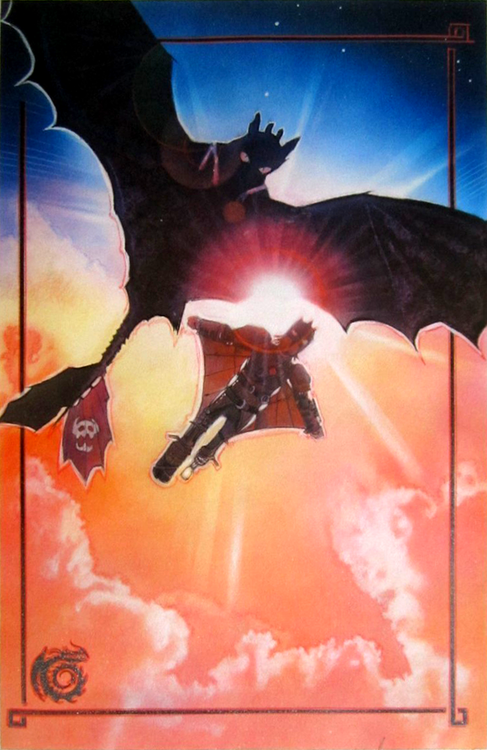 But then after his friends arrive, they all fly off together, no closer to finding Drago. Maybe I missed something, but there were a few moments like this that took me out of the film, even if only briefly. 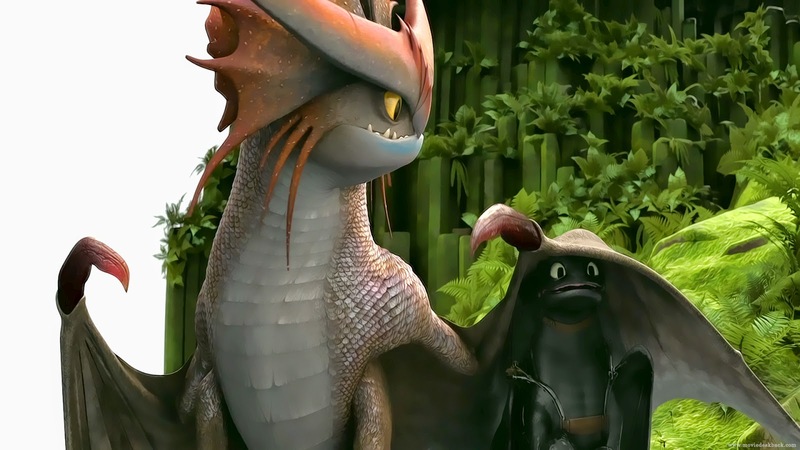 I don't think How to Train Your Dragon 2 is perfect, but even if it won't make it into my favorites for the year, it's impressive enough to more than make up for its shortcomings in my book. Most importantly, it succeeds in justifying its existence as a sequel without relying on self-aware meta-comedy, which is an admirable change of pace at a time when Hollywood will cash in on every franchise opportunity it can get its grubby little hands on. It exists for itself, and at the end of the day that's all we can really ask. The books are miserable and completely different plotwise....don't expect any help from them. I saw the first movie, then tried to read the books...ugh...absolutely terrible...the best part of the franchise is the movie.